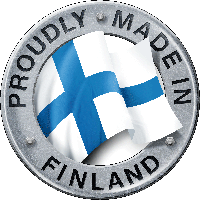 Aquador boats are manufactured at four state-of-the-art production plants in Finland by a process that uniquely blends the latest technology and advanced composites with traditional craftsmanship. To ensure the quality and safety that consumers expect from Aquador, the latest CAD/CNC programs and equipment are utilised in a precisely monitored, line-production process that meets the world's most rigid standards. Naturally, all boats are finished to perfection, thoroughly inspected and CE-certified before they leave the premises.